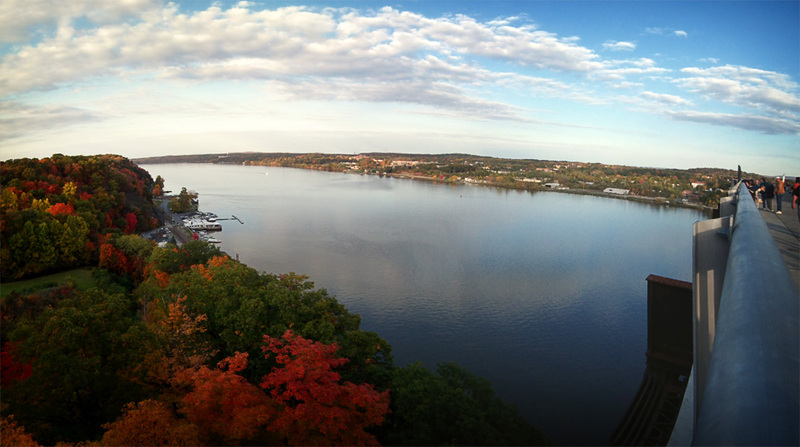 Several of my blog readers have been long convincing me that I needed to get over and see the Walkway Over the Hudson. 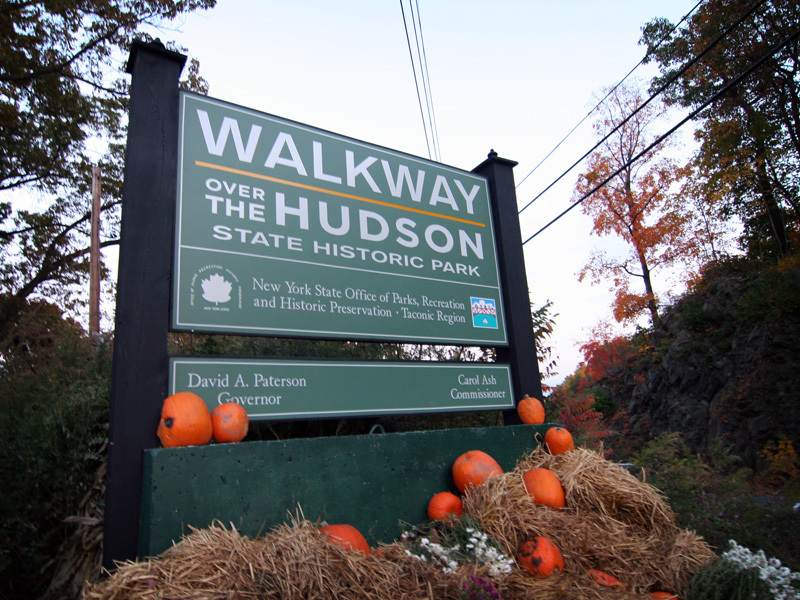 At the end of October I cheated on the Harlem, and hung out over on the Hudson side of things – checking out the former station in LaGrange, Bannerman Castle, Milton-on-Hudson’s historic station (pictures yet to be posted), and the Walkway Over the Hudson. Other than the fact that I was pretty sick that day, the trip was great. The day was beautiful and warm. 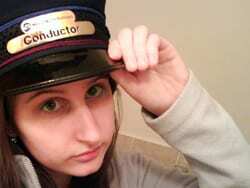 And considering I felt like crap and had to cough up a few hairballs (the perfect euphemism for me!) after taking these photos, I’m pretty proud that I managed to get some good ones. 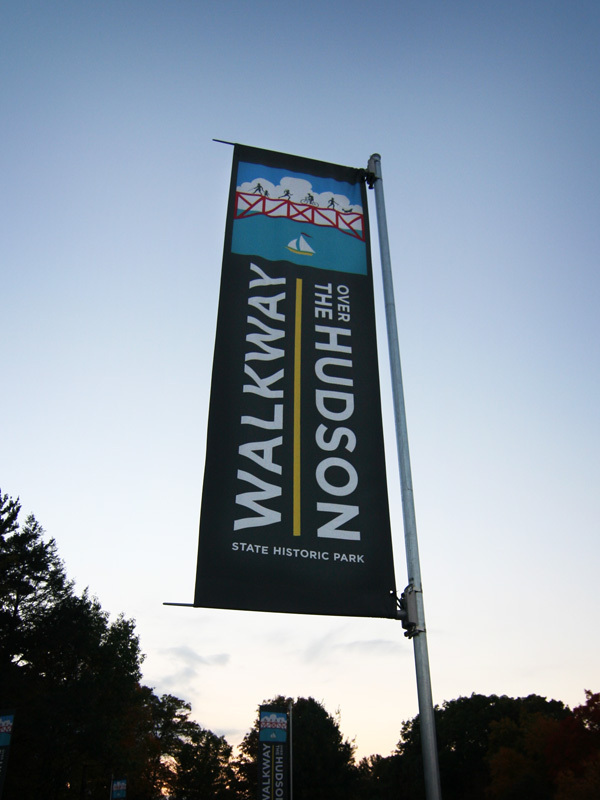 Of course the Walkway has only been a walkway for a relatively short amount of time. 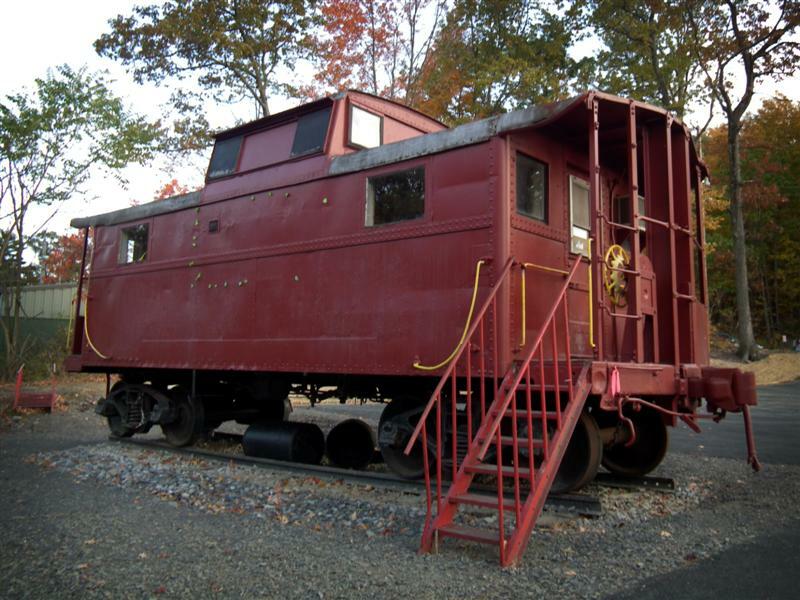 The majority of its years were spent carrying trains over the Hudson River. 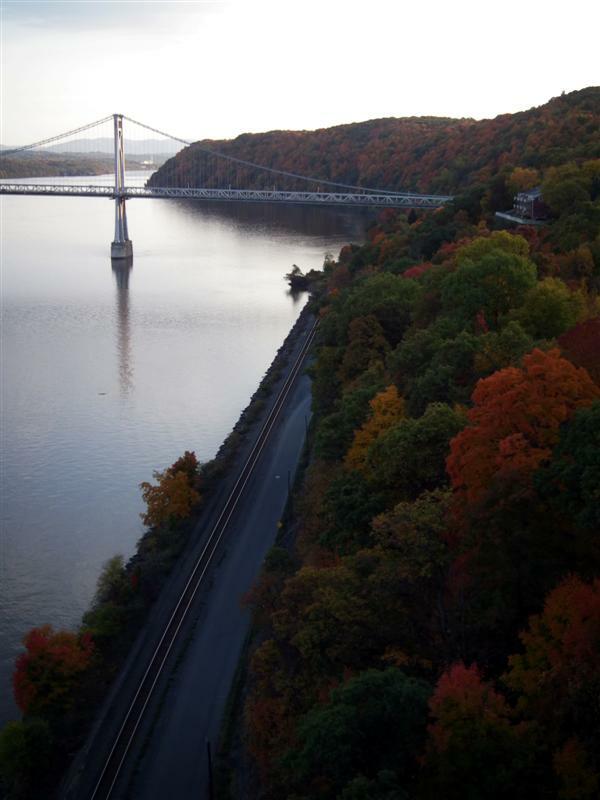 The Poughkeepsie-Highland Railroad Bridge, completed in 1888, was a modern wonder – and one of the longest bridges in the world at the time. 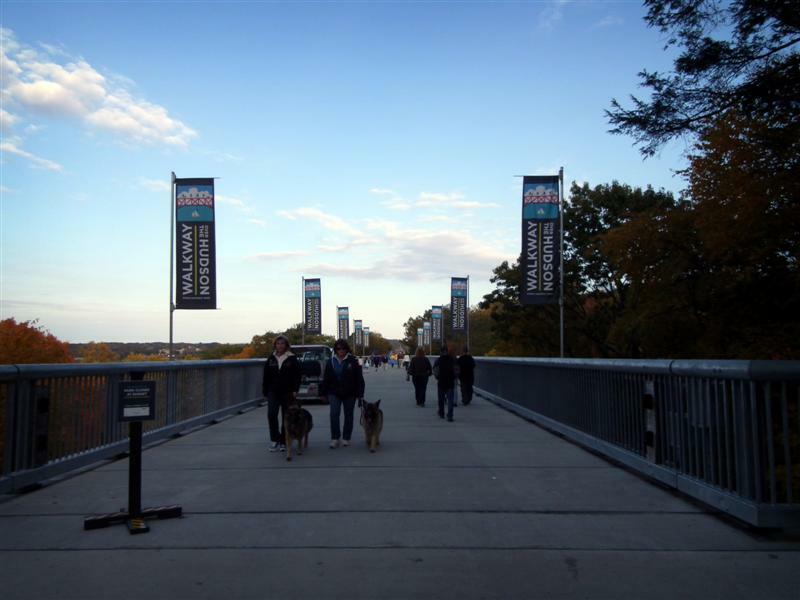 The bridge served as an important crossing, especially for troops during World War II. 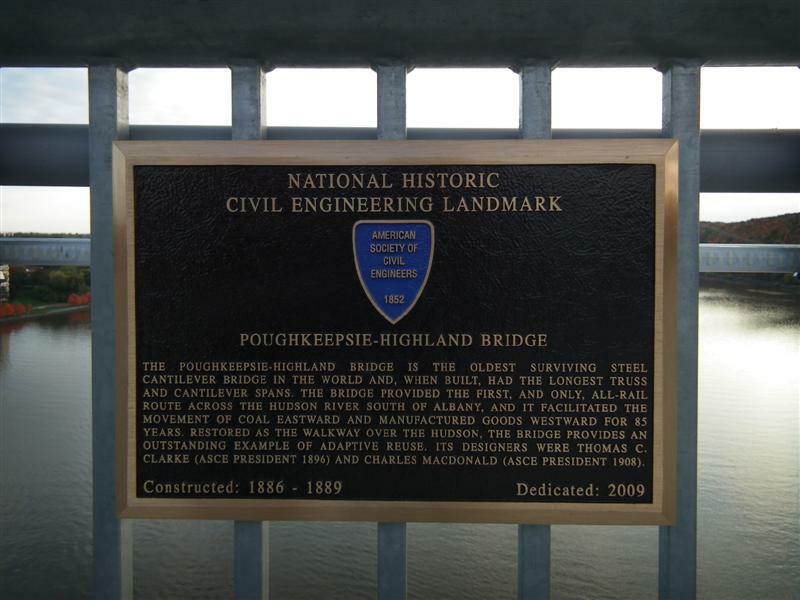 It is estimated that 3,500 train cars passed over the bridge every day during that period. 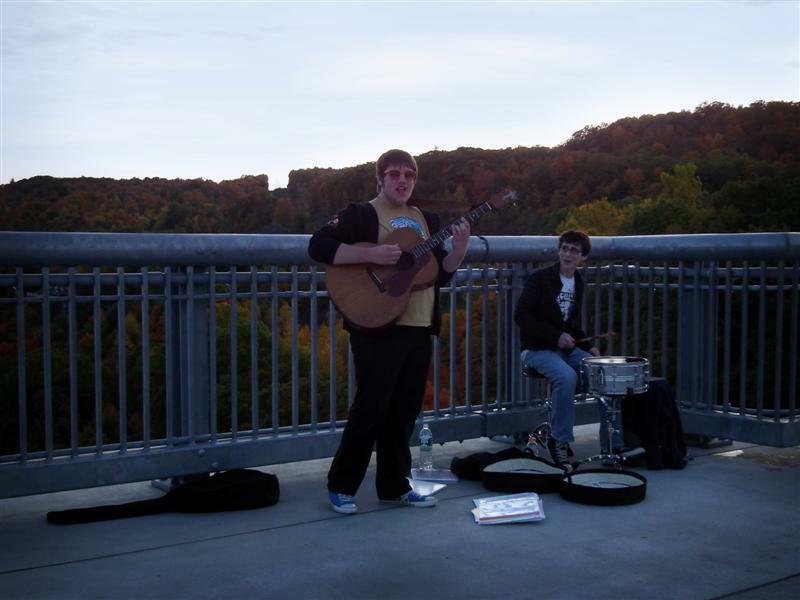 After the 60’s the bridge’s importance declined, and it was damaged by fire in the 70’s. 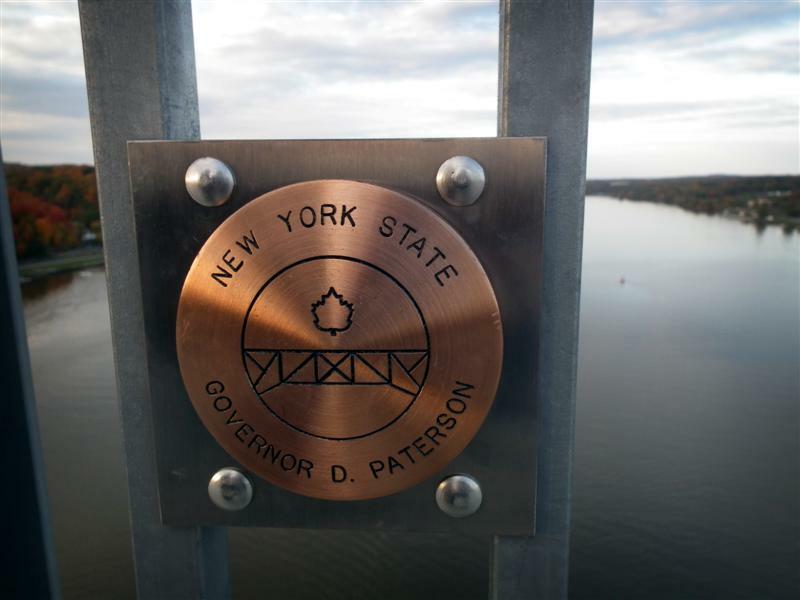 By the 90’s Walkway Over the Hudson proposed turning it into a pedestrian bridge, and in 1998 the bridge was deeded to them. 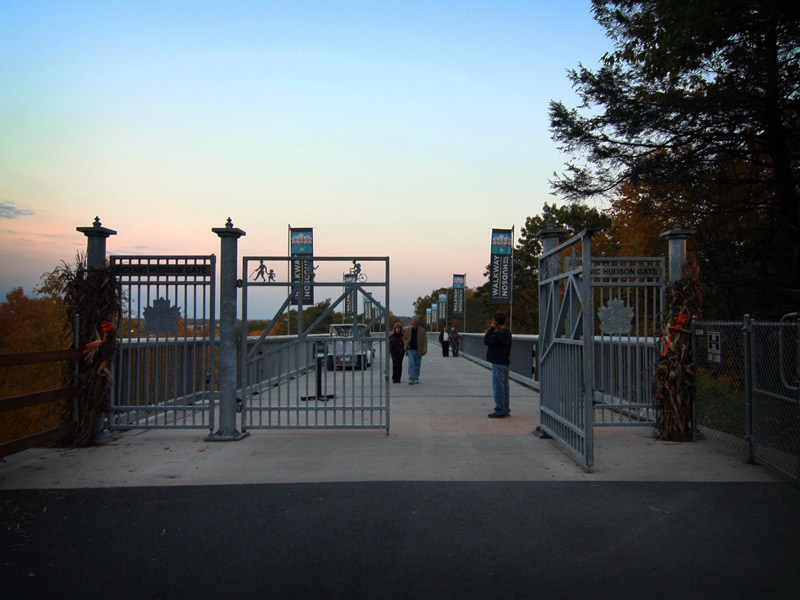 Construction began in 2008, and was completed in 2009. 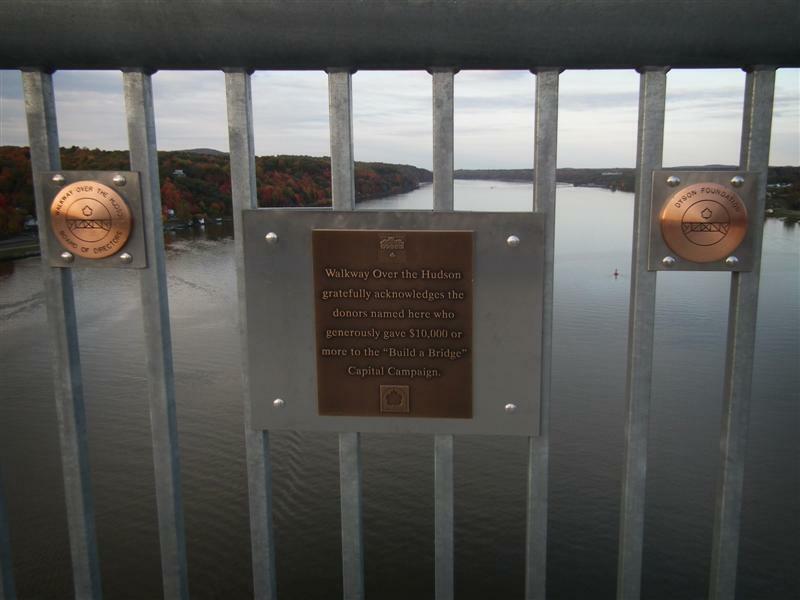 The Walkway Over the Hudson State Historical Park was officially opened on October 3, 2009. 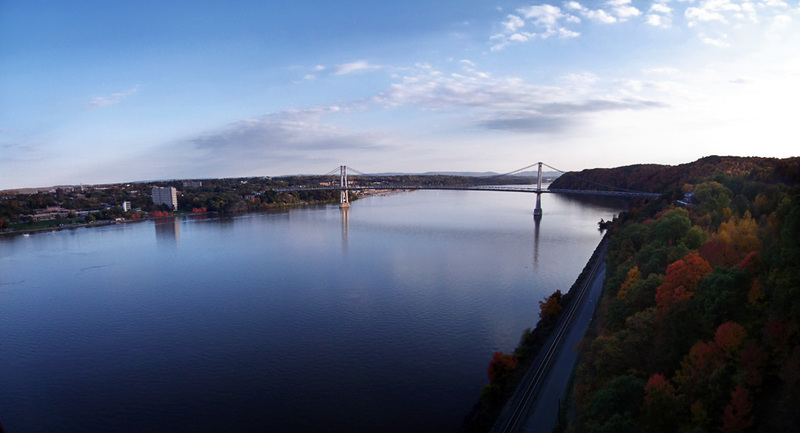 It is accessible from both sides of the river in Poughkeepsie and Highland. 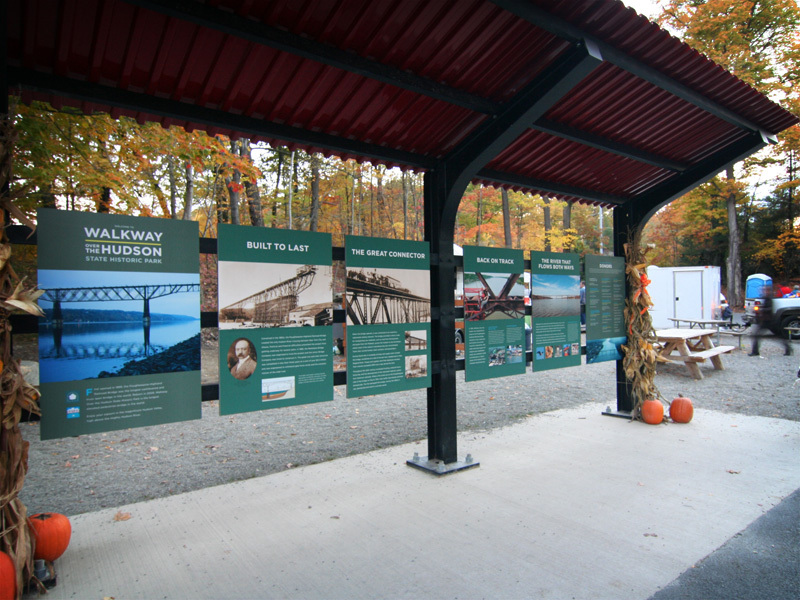 It is also accessible from Metro-North’s Poughkeepsie station. 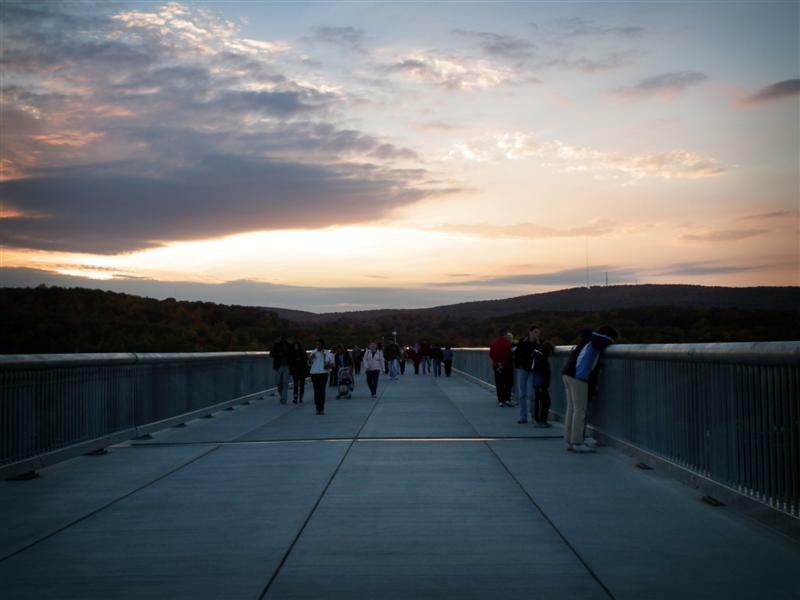 The walkway offers gorgeous views of the Hudson River, the Mid-Hudson Bridge, and Highland and Poughkeepsie. 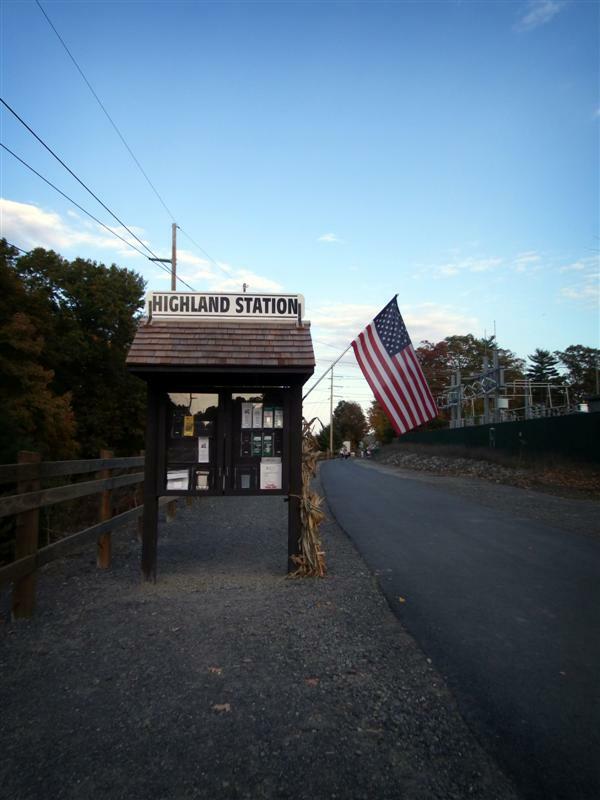 It also connects with the Hudson Valley Rail Trail in Highland. 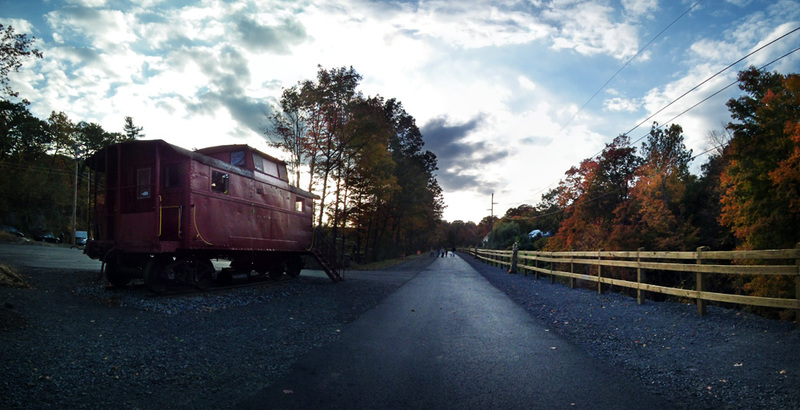 A few of the photos below, such as the one of the caboose, is from that rail trail. You have truly captured this place with your photographs ! I was there recently and looking at your pictures makes me want to go back for another walk across the walkway.